No! Everything you need to create stunning ecovers is included in your membership. Of course, if you need specific images, etc. you can purchase them for about a dollar each at stock sites such as photodune.net. Yes! We pride ourselves in providing some of the best support in the industry. You can use our contact form or click on the orange “Support” tab on the right side of every page. As our guarantee states on our home page, if you our not satisfied with our product, you can request a full refund within 30 days of your purchase. Can I download 2D (flat) versions of my ecovers? Yes! If you are a paid member you will see a “2D” button in the download area for you to do so. Why don’t I just hire someone to make my ecover? This is always an option. However, the “quality” designers will charge you anywhere from $30-$97 and that will be for just one ecover. 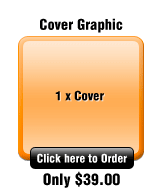 The cheaper sites will also provide only one ecover and most likely will be just changing the text on pre-made templates. Plus, if you want the .psd files to make edits, you will need photoshop and will also have to pay extra. The same goes with getting 2D images of your covers. Wouldn’t you rather create unlimited 3D and 2D ecovers that are 100% original and yours to edit and revise? We think so! If you didn’t find the answer to your question above, feel free to send us an email via our contact page or click on the orange “Support” tab on the right side of every page. Use our free version to see how easy our program is. You can create 4 covers, then, once you’re ready, you can sign up and unlock all the membership features! Designing covers for our Clients products usually takes 2-3 hours with Photoshop so we gave this software a go to try and save some time. I have to say the results we achieved within 10 minutes were as good as anything we produced with Photoshop. A fantastic product for Designers & Internet Marketers. Online eCover Creator is a perfect solution for those who cannot use Photoshop and are complete newbies in graphic design. Everything is intuitive, like in Word. Moreover, Online eCover Creator also supports languages that do not use the Latin alphabet. Thank you for providing such excellent customer service! These templates save so much time and there’s so many formats to choose from! The Online eCover Creator is by far one of the best user friendly experiences I’ve had with software. Extremely customizable and the results are mind blowing. I absolutely love this product! The quality and selection is second to none. I’m creating killer graphics in literally seconds! You’re almost making this too easy! Keep up the GREAT work! I used to own another eCover creator (that is no longer offering support). Online Ecover Creator is vastly superior in both quality and ease of use. The first cover I made looks awesome, and I am getting ready to rock my second one. The customer service is also top notch! I use Online Ecover Creator all the time for various products of my own and also clients work. Such a user friendly interface and highly customizable covers. With so many templates to choose from I know I am always able to create the cover I want. Not to mention the packager tool and the banner creator. This is simply a must-have tool for any online marketer today.